First -- HOLY SMOKES you guys! 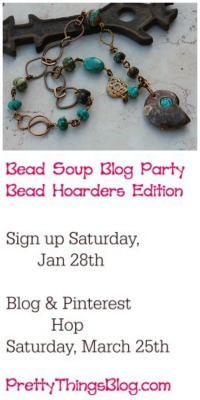 I burned up my keyboard today entering names into the Bead Soup Blog Party, creating a distribution list, and starting a spreadsheet! 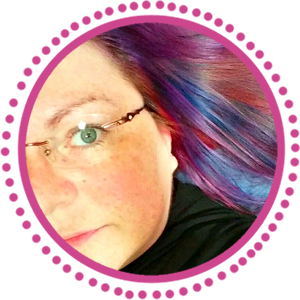 I'll be visiting everyone's blogs this weekend. But I can easily say I've never had the first day EVER have this many sign ups. And people can still sign up until the 14th! So tell your friends~! 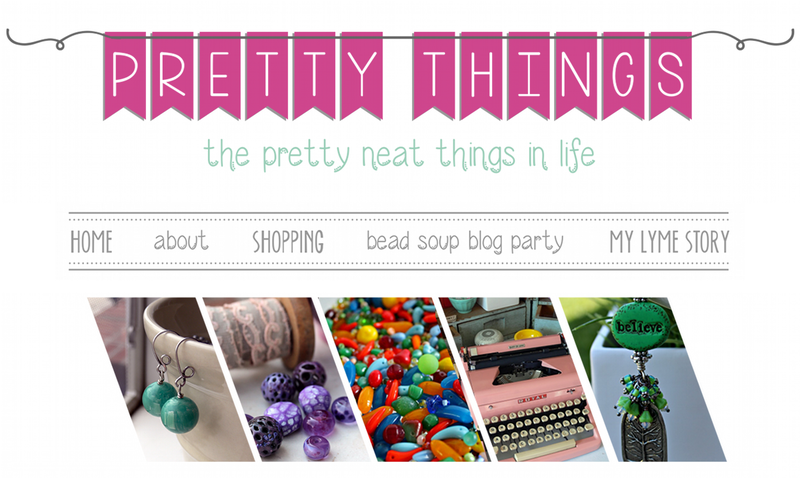 Second, I've gotten good feedback on the two blog posts I've written about business plans and how to start doing craft shows. 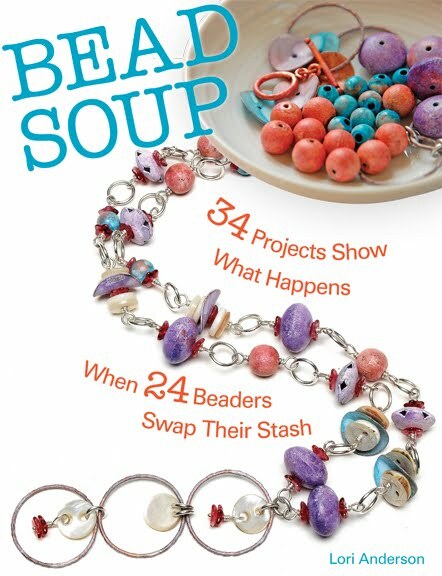 Today, pop on over to Art Bead Scene and read about a special publication that will help give you insight into the world of juried shows. Not only that, I'm giving away a copy of the magazine! My jewelry at a show. Photo by Cindy Wimmer. 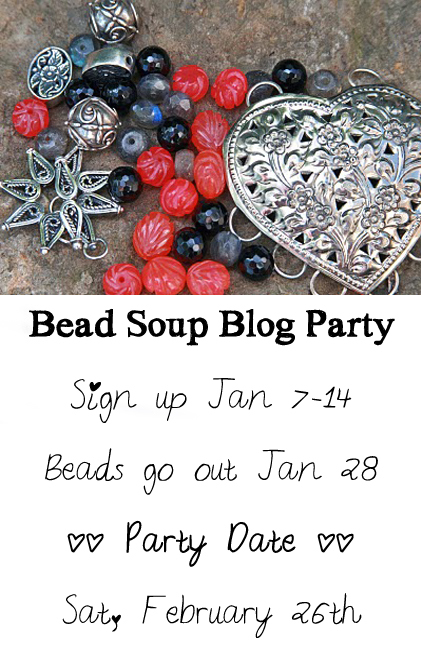 what's that line from the movie Field of Dreams.."if you build it they will come"..guess it applies to Bead Soup Party too. 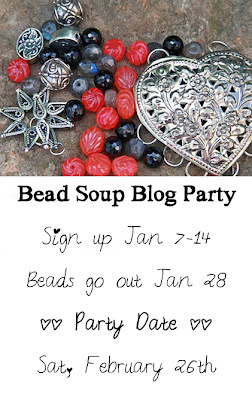 Lori, I have limited computer access here, but I want to be added to the Bead Soup Party. I'll try to get over there, but I'm not sure if I can. Thanks for the business articles! Good to hear you're posting more on shows. Even though I'm in Australia, its interesting to learn how things work in the US! 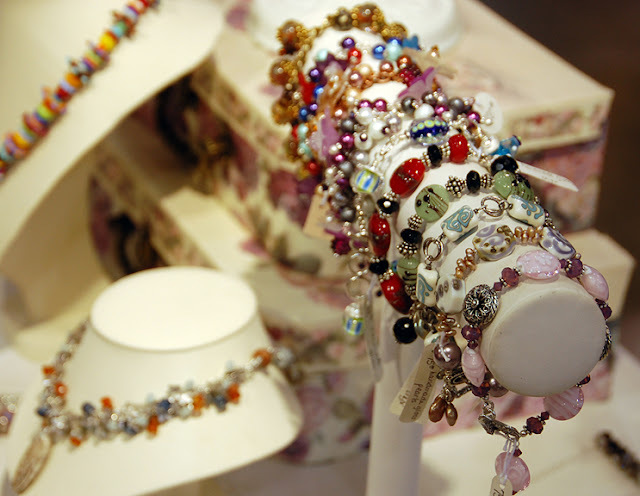 BTW, do you find you sell bracelets on a bracelet stand? I trialled using them and then sprinkling them around amongst other jewellery and found that people looked at them more OFF the stand? I have also found that folks won't pick them up off the stand but love to look at them off the table. I have never sold a bracelet off the stand. Beadbug -- I've experimented with the bracelet stands. For me personally, people just decimate them and I turn around and they're in shamble from people trying things on. I try not to pack them too much so it's easy to see things, and easy to get AT things. But I ALSO have plenty of bracelets mixed in with the necklaces on the tables -- kind of like "teasers", I suppose, that make them want to explore the bars. I usually put them near the bars. If I ever get off my lazy self and start posting my jewelry all the information you have kindly provided will be very useful.